Prestone Extended Life Prediluted Antifreeze/Coolant features a Cor-Guard enhanced, improved, extended-life formula that helps to rejuvenate the existing antifreeze in a car or light-duty truck. This auto product offers a convenient way to top off your car's cooling system with the superior protection of Prestone antifreeze. This ready-to-use prediluted antifreeze/coolant solution provides your car with the enhanced Cor-Guard inhibitor package and a patented formulation that prevents corrosion in your vehicle and helps your engine run longer. This auto antifreeze/coolant is suitable for use in American-, Asian- and European-made vehicles. 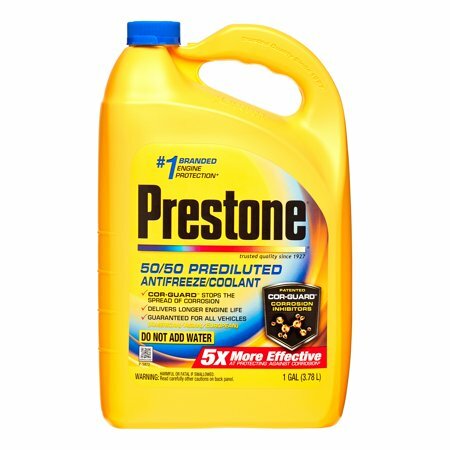 Prestone Extended Life Prediluted Antifreeze/Coolant is available in a 1-gallon jug and does not require water. Harmful or fatal if swallowed. Read carefully other cautions on back panel. This product contains a chemical known to the State of California to cause birth defects or other reproduction harm. Contains ethylene glycol (107-21-1), Diethylene glycol (111-46-6), water (7732-18-5), and proprietary inhibitors. Do not drink antifreeze or solution. Do not store in open or unlabeled containers. Avoid contact with eye, skin and clothing. Wash thoroughly after handling. Avoid breathing vapors or mists. Solution is poisonous to animals. If swallowed, call a poison center or go to a hospital emergency room immediately. If inhaled, move to fresh air. Seek medical attention if symptoms persist. In case of contact, wash with water. Keep out of reach of children and pets. Caution: Do not open the cooling system when the engine is hot. Refer to service manual for any special cooling system service instructions. After use, please tighten child-resistant cap and wash hands. Instructions: Top Off: Requires 1 gallon of Prestone 50/50. Fill overflow tank to max level to rejuvenate your existing antifreeze and protect against corrosion. Drain and Fill: Requires 2 gallons of Prestone 50/50. Refresh system to help stop the spread of corrosion and protect against freeze-up and boil-over. With cool engine, open drain valve to empty and refill to indicated level. For more information on how to flush and fill your system, scan this code or visit our website www.prestone.com. Disposing of Used Antifreeze/Coolant: Dispose of contents and containers in accordance with local and national regulations. This product was cheaper than AutoZone or O'Reilly auto store. You can't go wrong with Prestone!! Add this to my car and my temp needle went from normal high to normal low mark. 1. That product is yellow with a slightly greenish tint, but it is fully compatible with the antifreeze currently in your car. 2. This item is yellow with a greenish tint. 3. The color of any coolant/anti=freeze is just added dye. It is not important. The composition makeup is what you should be concerned about. The color means absolutely nothing. 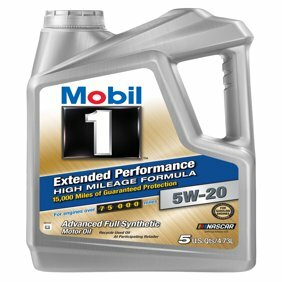 Can I use this to top off the coolant in a 2001 Toyota Avalon? 1. Yes, this can be used in your vehicle as coolant. Is this ant-freeze an ethylene glycol-based formula ? 1. Yes, this product contains ethylene glycol.